Great news for California subcontractors and suppliers! “Type I” Indemnity provisions in California construction contracts entered into on or after January 1, 2013 are not enforceable. This change in the law prevents owners and general contractors from shifting enormous exposure and costs of litigation downstream to the little guy, namely subcontractors and suppliers. In October 2011, Governor Brown signed Senate Bill 474 into law, which represented a major legislative victory for subcontractors and suppliers. The new law also imposed exacting limitations on contractors that attempt to require their subcontractors and suppliers to cover their defense fees and costs in litigation. New Law Prevents Indemnity or Cost of Defense for Active NegligenceUnder a “Type I” indemnity provision, the downstream subcontractor agrees to indemnify the owner or contractor, even against liability caused by the upstream owner/contractor’s own “active negligence.” A “Type I” indemnity provision in general contractors’ subcontracts often require their subcontractors to defend and indemnify them from liability regardless of whether the general contractor is partially at fault. Subcontractors and suppliers historically have complained that they have little bargaining power when entering into these contracts and these types of provisions can result in ruinous liability for those in the construction industry that are most vulnerable-subcontractors and suppliers. Before this change, the law allowed a general contractor who is 99 percent at fault for an injury or damage to shift the entire risk to a subcontractor who is only one percent at-fault or a subcontractor who is not at fault at all, but tangentially involved in the claim. Subcontractors and suppliers joined forces and lobbied the legislature. The legislature and Governor Brown agreed. Under the new law, such “Type I” indemnity provisions will no longer be enforceable. SB 474 adds Civil Code section 2782.05 that precludes indemnity where the party to be indemnified is “actively negligent” and makes void and unenforceable these types of clauses. An enormous expense traditionally passed down to subcontractors and suppliers is the cost to defend the general contractors and/or owners should litigation arise. Attorney costs can be extremely expensive. Often times, subcontractors will face larger exposure to the general contractor’s attorney’s fees and costs than to the underlying claim involving its scope of work. Section 2782.05(e) sets out the steps a general contractor or construction manager must take to enable a defense from a subcontractor. Significantly, a subcontractor has no obligation to defend unless and until the general contractor or construction manager provides a written tender of the claim. The tender must include the information that the claimant provided to the general contractor or construction manager relating to claims caused by the subcontractor’s scope of work. In addition, the general contractor or construction manager must provide a written statement setting forth how it determined the share of fees and costs allocated to the subcontractor. Upon tender of a claim, the subcontractor has a few options. The subcontractor may defend the claim with counsel of its choice or pay an allocated share of the defense fees and costs within 30 days of receipt of an invoice of the allocated share. The allocation must be based on claims allegedly caused by the subcontractor’s work and must include (a) information from the claimant relating to the claims caused by that subcontractor’s scope of work and (b) a written statement explaining how the reasonable allocated share of fees and costs was determined. The subcontractor also has the opportunity to present information to the general contractor showing that another party is responsible for the claim. The subcontractor is not required to pay more than “a reasonable allocated share” of the general contractor’s defense fees and costs. 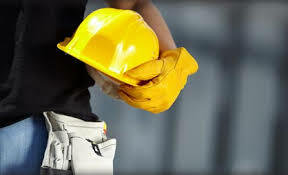 However, SB 474 does not restrict contract clauses that require a subcontractor to purchase insurance, including additional insured coverage for a general contractor or construction manager under the subcontractor’s general liability policy. (§2782.05(b)(6)). There are several other requirements related to enforcement, allocation, and collection of these defense fees and costs. To learn more about this new victory for subcontractors and suppliers and how it might affect your business, contact one of our experienced construction attorneys today.